Hiii, the other one was really _too_ bad.. :( So I fixed it and I hope it looks better now :) Please comment it again :)~!! - Pictures standing behind Ed are found in google.com. I screencapped Ed and coloured it a little bit. Better yes, but again, try to give th grass more hues of green. And maybe you can skew the clouds layer outwards on both sides by using transform. Then you can fix the levels of the clouds so that the clouds stand out from the blue sky. I think the birds would be better if they looked smallere and were a flock heading towards the same direction. It would give off a more realistic feel to it, I think. And even if their color is only white it would still look fine. :D Sort of cartoony. 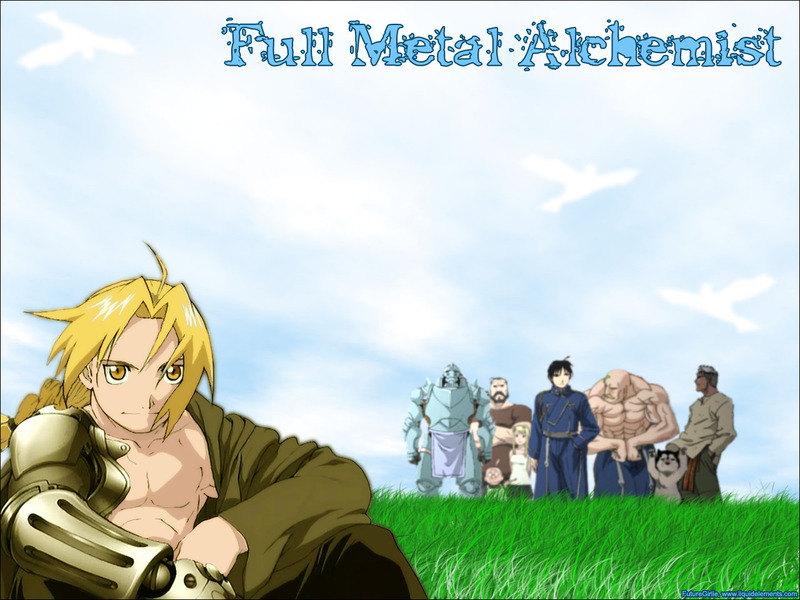 I like your FMA wallies. Lovely wall. I like how you put the chars in the bg. the top text is a bit distracting, but the rest of it looks great.